When the chips were down, I reached out. After we made our initial goal of $3700 on the Kickstarter campaign, two days before Christmas, the thing kept going right up until the closing date, which was 2 January. We exceeded our goal by a significant amount, which is important because the $3700 only replaced the kiln - it did not cover the cost of an electrician to hook the thing up, or to recover the money we'd put into trying to fix the old kiln. We are very grateful for your support, and for all your generous donations. 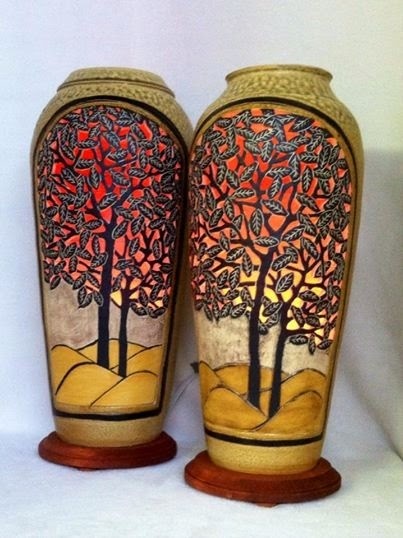 The Gallery is Ki's lifelong dream, and having a working kiln is critical to her operation. We simply could not have done it without you. Please visit Ki's blog or The Gallery at 122 Facebook page to see Ki's original works of art. I received a 404 the webpage cannot be found at the blog link. OK let me work it . . . Try it now . . .